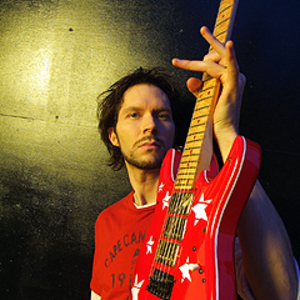 Paul Gilbert is well known for his highly-acclaimed technical guitar work with Racer X and Mr. Big . After he parted ways with Mr. Big in 1996, Paul pursued his career as a solo guitarist and has evolved into a successful solo artist/singer/songwriter. Gilbert composes music in a wide variety of styles including pop, rock, metal, blues, jazz, funk and classical, but is perhaps best known for his versatility and speed. His guitar work is characterised by his floating right hand contrary to the more common anchored right hand that guitarists like Pink Floyd's David Gilmour favour. Gilbert composes music in a wide variety of styles including pop, rock, metal, blues, jazz, funk and classical, but is perhaps best known for his versatility and speed. His guitar work is characterised by his floating right hand contrary to the more common anchored right hand that guitarists like Pink Floyd's David Gilmour favour. He is also considered to be one of the best proponents of alternate picking. Paul once had his own column in British guitar magazine, Total Guitar. He is sometimes a guest lecturer at the Guitar Institute of Technology (GIT) that he once attended, along with Gary Hoey and many other guitar players. He works a great deal with GIT's division in Japan, where he lived for a time before relocating to Los Angeles, CA.